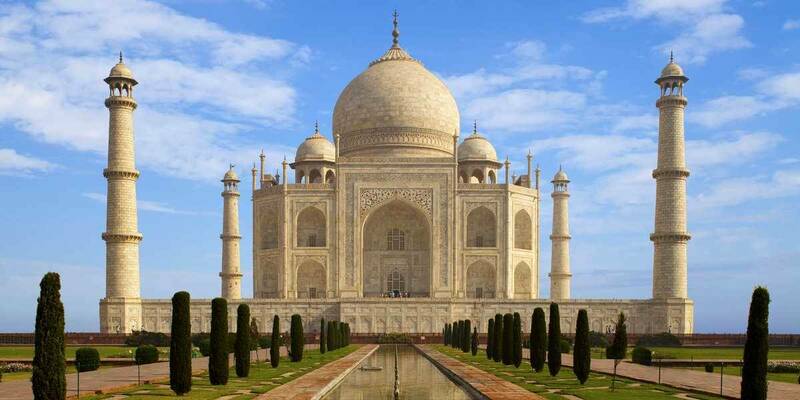 A magnificent World Heritage monument, the Taj Mahal is regarded as the most successful of the works of the Mughal Empire which ruled over a vast area from present-day Afghanistan to Burma and from the Himalayan mountains to the south of the Indian subcontinent . With such a territory and a variety of peoples, the Mughals were born from a very great cultural mix that is found in the arts, especially architecture and miniatures, two domains in which they had become master. The Taj Mahal is a complex of 580m long by 300 wide divided into 3 parts in a row which reproduces the Paradise according to the Muslim religion. The first part, the most southerly, is a place of passage between life on Earth and Paradise, there is an inner courtyard and the mausoleum of the Emperor's first two wives. Then, after passing the great door, the visitor enters the "Paradise", symbolized by the perfectly ordered garden typical of Mughal art. This garden is filled with religious symbols. At the very end, a staircase leads to the terrace, which houses the main white marble mausoleum, a mosque and the guests' pavilion, a replica of the mosque on the other side of the terrace and therefore necessarily facing the other side. 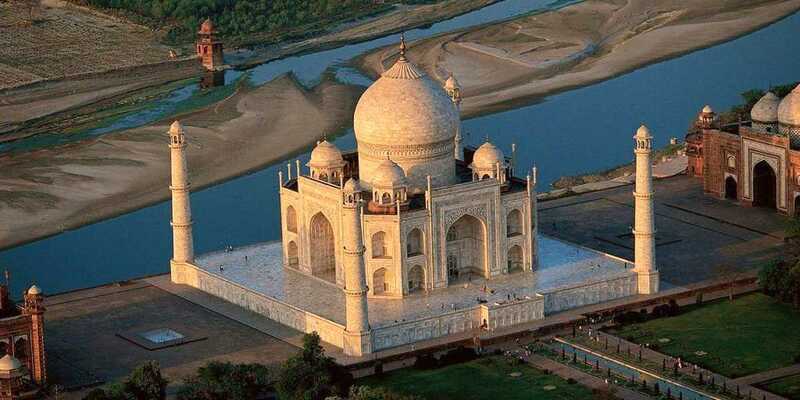 When the Empress Mumtaz Mahal died in the sixteenth century, Emperor Shah Jahan had him build a tomb that he wanted as perfect as possible. By relying on the tombs previously built by his ascendants he was able to attain a level of perfection that has never been equaled. This part of the website offers different photos of the Taj Mahal, from the outside as well as from the inside, not only of the mausoleum but also of all the other buildings because the Taj Mahal is above all a very large complex 300m wide on nearly 600 meters long, that is to say if there are a lot of buildings and gardens there. Dimensions are also available, with all measurements of many buildings, as well as its location. Finally, you will find some anecdotes about the monument or its construction, and a dossier on the effects of pollution. 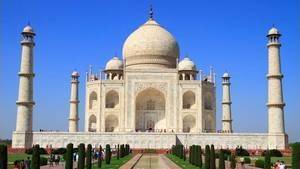 This site offers various photos of the Taj Mahal, its ensemble, the adjoining buildings, the interior of the mausoleum or the mosque, etc. According to the official measures, the Taj Mahal is a set of buildings and gardens in a rectangle of 561m and 20cm by 300m and 84cm. We take our word for it. 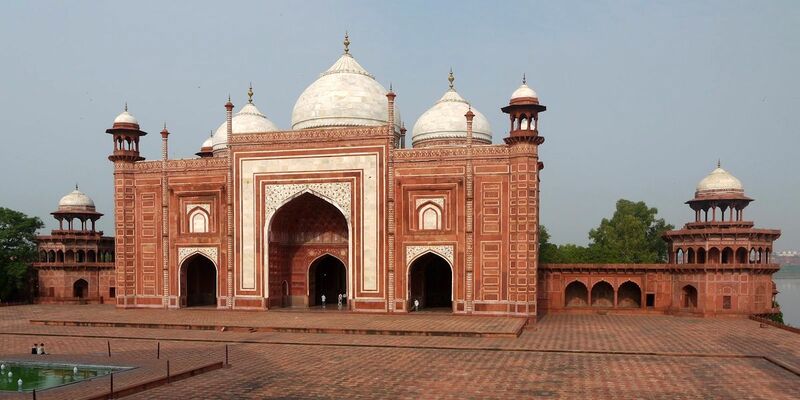 On the other hand, the mausoleum, the most famous building in India, is more modest in size: It is inscribed in a square of 56.9m side, knowing that the mausoleum is in fact an irregular octagon: The 4 facades which are facing the cardinal points are larger than the other 4. At its height, it is 67.97m. But these are not the only dimensions available on this site: The gardens, for example, are a perfect square of 296.31m. 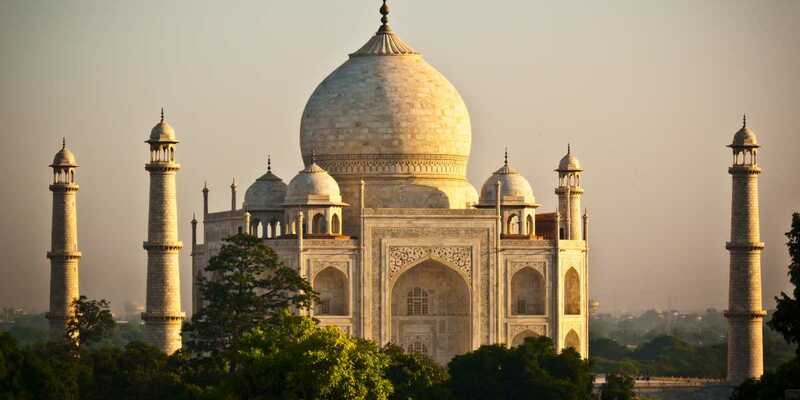 The location of the Taj Mahal was decided intelligently, it was necessary to take into account certain criteria that were, such as the presence of the river Yamuna or the various gardens already existing nearby. 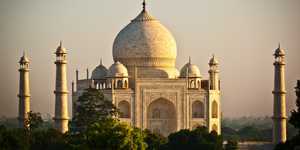 In practice, the Taj Mahal is in the city of Agra, a city of 1.7 million inhabitants south-east of Delhi, the capital. The two cities are connected by a rail and road network which, if congested, has the advantage of existing. 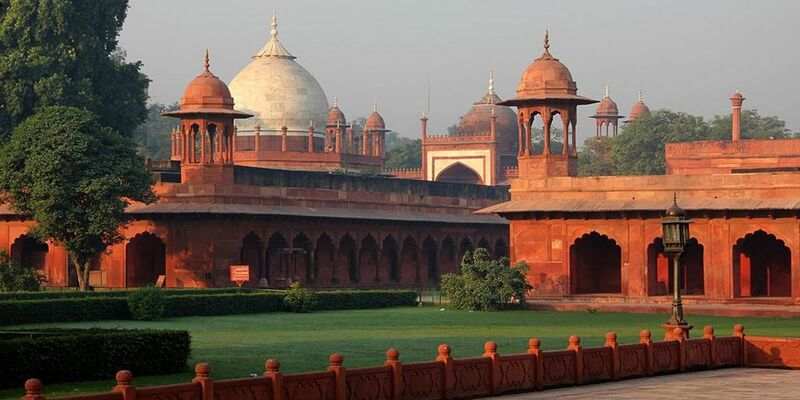 The city of Agra does not have the charms of other cities in India, but it still has other elements of World Heritage that justifies its visit, if that of the Taj Mahal was not enough. 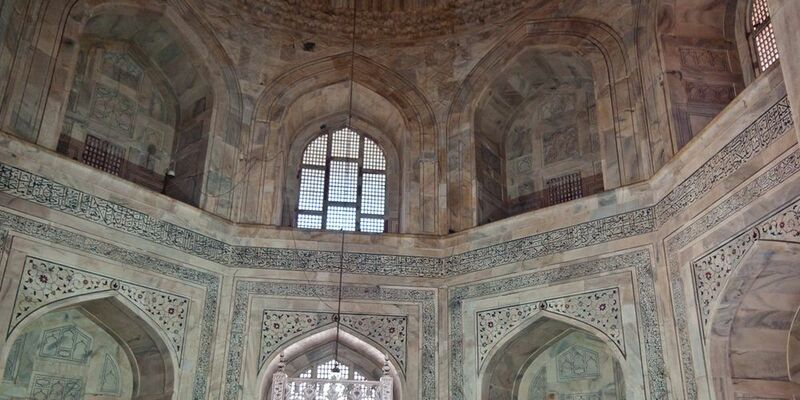 When one sees the brilliance of the mausoleum of the Taj Mahal, one wonders how it is possible to find it in such a state after 4 centuries of history. It must be said that it is particularly well maintained, especially since it is attacked by different sources of pollution. The main one is the induced one of the human industry. As Agra is a dense agglomeration, many industries have settled there and caused heavy air pollution. To counter this disadvantage the state government has banned the planting in an area around the monument. But this pollution is not the only existing on site, there are some others due to the natural environment ... or not. 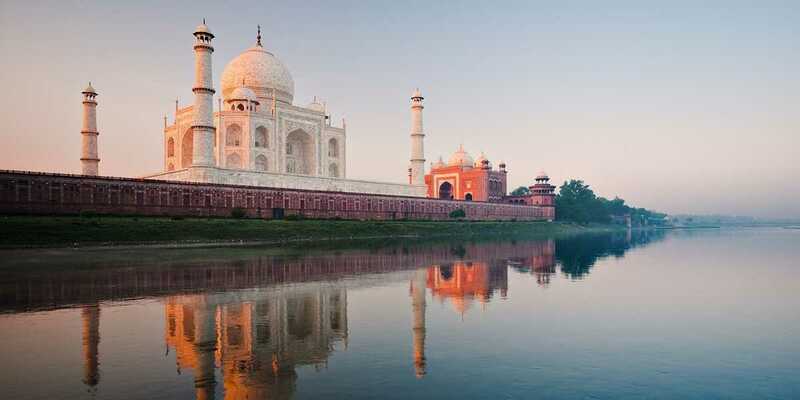 Learn more about the pollution of the Taj Mahal.